6% higher than in May 2013. Imports from Brazil declined by 5% in May to 2,399 cu.m. 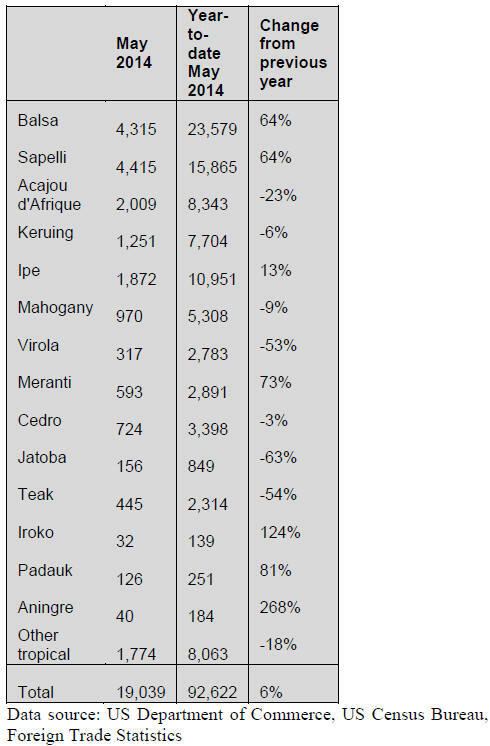 Brazil (1,790 cu.m), but jatoba and virola imports also fell. were down, but imports from Africa increased in May. the US in May, up 36% from the previous month. and 370 cu.m of cedro, according to US trade statistis. keruing, ipe, virola, jatoba and teak. Congo increased by 136% to US$199,104. combined increased by 23% in May to US$382,762. tropical import species in Canada. important role in the demand for furniture. technology and consumer trends changed dramatically. 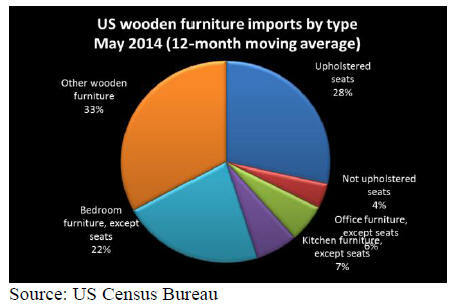 dominate the US furniture market now. positive on the future of domestic furniture manufacturing. increasingly be made in Mexico instead of East Asia. allowing for a more meaningful analysis. between 2011 and May 2014.
increased their market share between 2011 and 2013.
have been able to maintain any market share gains. Vietnam, other Asian countries and Mexico. 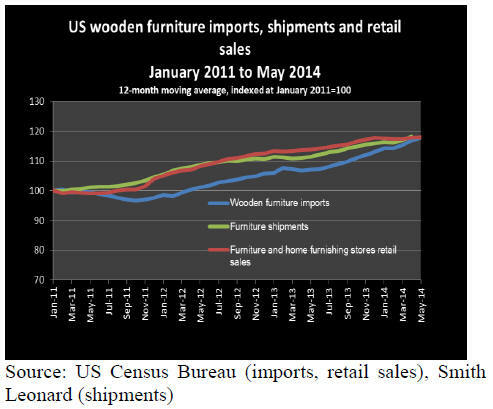 from 11.9% in January 2011 12.6% in May 2014.
furniture import shares grew from 6% to 7%. exports have grown over the last decade. differences, ocean shipping and language barriers. was only briefly interrupted in 2009 by the financial crisis. 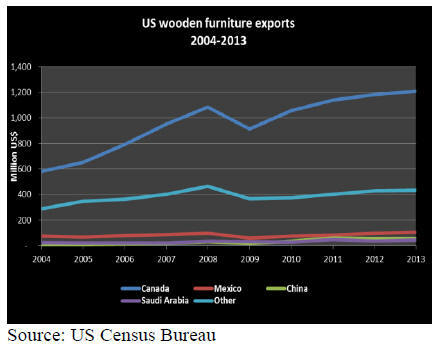 Exports to the Middle East have grown significantly. million) and Qatar (US$19.0 million).